How Do You Transform Writing Outcomes For Children? 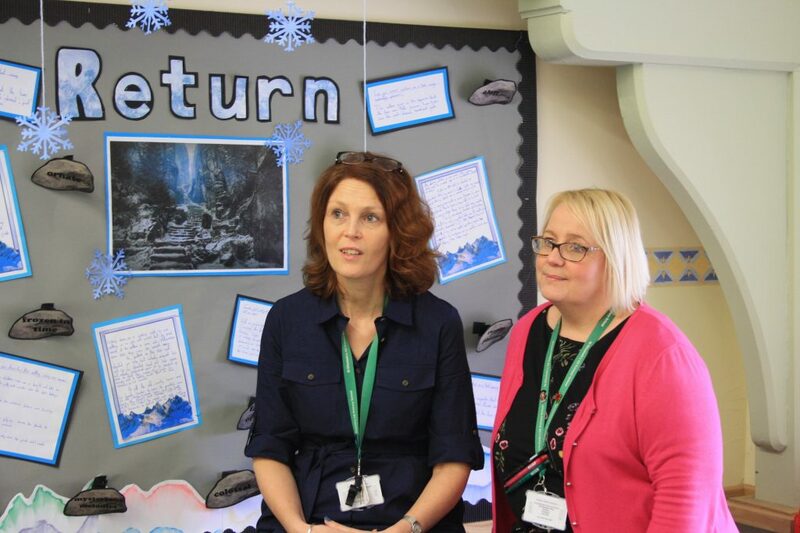 Headteacher Bev Burrows and Jo Millen, Year 6 Teacher and English lead, of St Elisabeth’s Church of England Primary School, Stockport. Here they share with us how beautiful units of work have empowered their teachers to provide high quality teaching of writing through high quality literature. 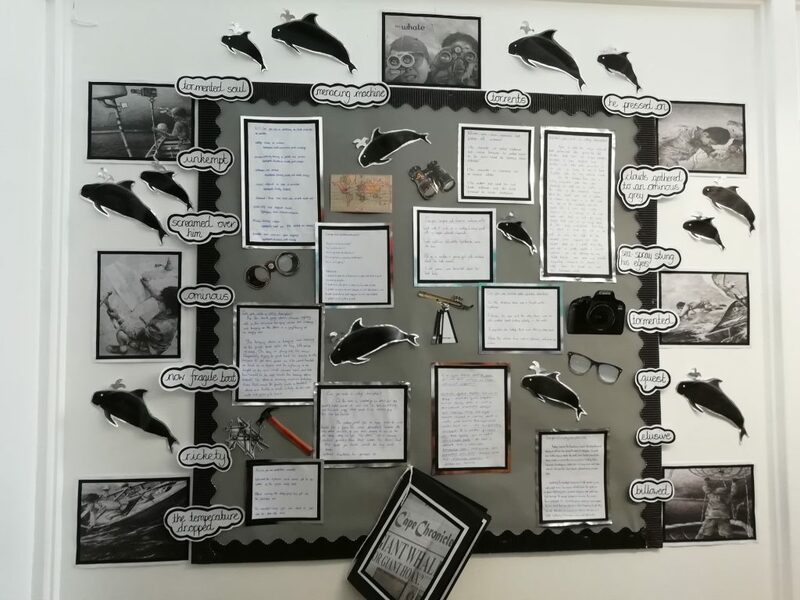 Centring on engaging, vocabulary-rich texts, with a wealth of writing opportunities within and across the curriculum as well as signposting wider curriculum enrichments is what has made an impact at St Elisabeth’s who have been using carefully crafted units of work throughout the Spring Term. Read on to find out what this Q&A told us about the role of vocabulary teaching, contextualised grammar and pupil engagement has had on transforming writing outcomes at their school. So, what impact has reading into writing had at St Elisabeth’s? Bev: The teaching sequence is crucial. Episodes of Learning are clear and packed with engaging contextualised grammar work. The reading of high quality, engaging texts which covers global themes, is intertwined with the learning of reading skills and our children have never enjoyed English lessons so much! The children are hooked into the text through thought-provoking activities, followed by a clear teaching sequence that not only supports the teachers with structure, but allows children to immerse themselves in the text in a build-up to extended writing. Bev: The structure that move from the reading into the writing allow children to ‘dive deep’ into an analyses of the text, with a clear focus on the effect on the reader. As a result of a reading into writing approach, when it came to their independent writing, children’s minds were filled with ideas from the rich-language and contextualised grammar activities, freeing up cognitive space to focus on mastering the writing techniques required for their year group, importing these very skills into their own writing. What about reading as a prerequisite to the writing that follows; what has made a difference? Bev: Their reading skills have significantly been developed due to the exploration of author language choices, meaning of words, phrases and sentences in context and explicit links to the impact on the reader. This has been supported through comprehension activities with scaffolded explanatory phrases to support children’s opinions on the effect the writing has on the reader and their ability to explain their thinking. The most obvious impact of this has been the children’s confidence when faced with reading comprehension questions. Jo: By reading the book and looking at the model texts, it really helps us to connect with the words we are writing on the page. I know my writing has improved. What about the vocabulary the children have been using in their writing? Bev: Another significant impact of the approach has been raising the profile of vocabulary. Direct vocabulary teaching is a daily occurrence here at St Elisabeth’s. The children are now keen to talk and use new words. Children are using their natural curiosity and showing an interest in the language choices made by the author. Repetition and multiple exposure to vocabulary have proven vitally important and impacted significantly within the children’s writing. There is a real depth in understanding of vocabulary, which in turn is used in the right context and with the greatest effect. In short, these units allow learning within a rich context that is extremely valuable for vocabulary learning. How have the units been helpful in transforming your English Curriculum? Jo: We have a foundation from which we can develop our whole curriculum. The detailed units ensure that National Curriculum objectives are covered, and we can easily map continuity and progression as the children move through the school. I would highly recommend that schools invest in these – as a school, we have always believed in the power of a book, but these units have allowed us to unlock their true potential and our children are reaping the benefits. But what about the children in your school? Have you seen a change in attitude? Bev: This has had a transformational effect on the engagement and outcomes of our children in reading and writing. Most importantly, children have been keen to fully engage with their learning, are enthusiastic and are challenging themselves to achieve their potential. What is the biggest difference you have noticed? Bev: English lessons at St Elisabeth’s C of E Primary School are full of children talking and enjoying books. Staff are much more confident to teach and give feedback. For me, it is enjoying seeing the children flourish and make progress. I would highly recommend these transformative units and the approach to any school. What we know from the EEF’s research into effective teaching of writing is that children need explicit teaching of all components of the teaching sequence of writing. Effective units help the teachers and children in understanding and explicitly teach how to do these. The best writers in any class are almost always your best readers, in starting with quality literature and responding to it through an immersion in the text itself has had a significant impact on the writing that follows in schools that we work with. It has helped children notice language features and knowledge the writer needs to create effects on the reader. Another transformative element is the heightened focus on the vocabulary which is elevated and effectively used by the children in all the books we examined. Transforming writing has to start with a great book which invites meaningful engagement and where writing purpose and audience are established. St Elisabeth’s have benefitted from this and so have many other schools. “The children are as engaged as the staff. The biggest impact has been the use of vocabulary and phrases which children are using in their own writing.’ – Natalie Hague, KS1 leader. “I think it is brilliant – I love the units. Everyone is involved in all of the lesson and all of the children’s ideas are incorporated. Every child believes they are an author.” Justine Dolan, TA.